Stainless Steel 310 Square Neck Bolts Suppling at Qatar, SS UNS S31000 Stud Bolts, Stainless Steel 310 Spring Washers Manufacturing at Spain, SS 310 Self Tapping Screw, Stainless Steel 310 T-Head Bolts Suppling at Egypt , SS 310 Threaded Rods, SS 310 Fasteners Supplier & Exporter in Mumbai India. Alpha Overseas exports SS 310 Fasteners, which is used for intermittent service at temperatures up to 1040 Degree C. Welding or build up analogue heat resisting forged Alloy 310 used in annealing and hardening process in marine, re-conditioning and refurbishment industries. The key properties of Grade 310 Fasteners are its high chromium and medium nickel content making its resistance to oxidation, sulfidation and other forms of hot corrosion its main characteristics. Type 310 Fasteners is widely used in moderately carburizing atmospheres such as encountered in petrochemical environments. AISI 310 Fasteners is often used in fluidised bed combustors, kilns, radiant tubes, tube hangers for petroleum refining and steam boilers. 310 Stainless Steel Fasteners is also often used at cryogenic temperatures, with excellent toughness to -450 Degree F, and low magnetic permeability. 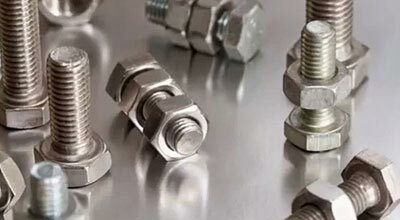 Stainless Steel 310 Nuts can be utilized in slightly oxidizing, cementing, thermal cycling and nitriding applications, albeit, the maximum service temperature must be reduced. Stainless Steel 310 Hex Nut Suppling at Indonesia, SS DIN 1.4841 Allen Cap Screw Manufacturing at Tanzania, ASTM A193 SS Threaded Stud Manufacturer, Stainless Steel 310 Hexagon Nut Suppling at Belgium, SS 310 Hex Domed Cap Nuts, Stainless Steel 310 Hex Head Screw Manufacturer & Stockist in Mumbai, India. 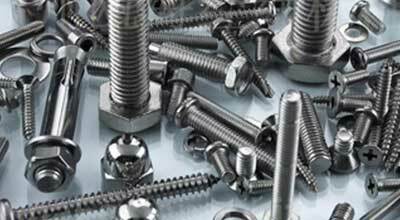 Stainless Steel 310 Bolts is as well typically used for elevated temperature applications as its high chromium and nickel content provide solid corrosion resistance, superior strength in temperatures up to 2100 Degree F and excellent resistance to oxidation. Stainless Steel 310 Washers is generally used in oven linings, boiler baffles, lead pots, annealing covers, combustion tubes, saggers, burners, etc. Stainless Steel 310 Screws is a heat resisting stainless steel with high resistance to oxidation scaling and has high strength at elevated temperatures. We are Exporter of Stainless Steel 310 Fasteners in Worldwide Such as Spain, Macau, Indonesia, South Korea, Netherlands, Azerbaijan, Bahrain, Finland, Peru, France, Chile, Ukraine, Serbia, Malaysia, Libya, Denmark, Philippines, Colombia, Ireland, Egypt, Namibia, Kenya, Costa Rica, Angola, Bolivia, Italy, Portugal, Puerto Rico, Mexico, Thailand, Jordan, Saudi Arabia, Zimbabwe, Nepal, Poland, Sweden, Australia, Afghanistan, Argentina, Yemen, Tibet, Kuwait, Bulgaria, Belgium, India, Austria, Ecuador, Norway, Mexico, Ghana, Pakistan, Kazakhstan, Israel, Iraq, New Zealand, Bangladesh, Turkey, South Africa, Nigeria, Bhutan, Croatia, Lebanon, Chile, Hungary, Poland, Czech Republic, Iran, Gambia, Estonia, Switzerland, United States, Vietnam, Greece, Gabon, Belarus, Mongolia, Japan, Oman, Romania, Brazil, Hong Kong, Lithuania, Russia, Sri Lanka, Qatar, Taiwan, Iran, United Arab Emirates, Singapore, China, Algeria, Canada, Morocco, Venezuela, Nigeria, Trinidad & Tobago,Tunisia, Germany, Slovakia, United Kingdom. We are Suppliers of Stainless Steel 310 Fasteners in India Such as Los Angeles, Visakhapatnam, Al Khobar, Bhopal, Indore, Madrid, Gurgaon, Atyrau, Gimhae-si, Toronto, Chiyoda, Chennai, Navi Mumbai, Muscat, Houston, Granada, Santiago, Riyadh, Nagpur, Tehran, Seoul, Petaling Jaya, Ernakulam, Pimpri-Chinchwad, Abu Dhabi, Jaipur, Ranchi, Ankara, Cairo, Ludhiana, Thiruvananthapuram, Ho Chi Minh City, Dallas, Kolkata, Melbourne, Hyderabad, Surat, Geoje-si, Rio de Janeiro, Kuwait City, Vung Tau, Bangkok, Faridabad, Lagos, Ahvaz, Port-of-Spain, Vadodara, Howrah, La Victoria, Dammam, Rajkot, Istanbul, Brisbane, Kuala Lumpur, Sydney, Coimbatore, Doha, Bogota, Ahmedabad, Moscow, Singapore, Pune, Dubai, Algiers, Al Jubail, Karachi, Sharjah, Busan, Mexico City, Jamshedpur, New Delhi, Milan, Hong Kong, Courbevoie, Chandigarh, Hanoi, Manama, Colombo, London, Caracas, Montreal, Perth, Lahore, Nashik, Secunderabad, Thane, Bengaluru, Ulsan, Kanpur, Jakarta, Calgary, Noida, Aberdeen, Edmonton, Haryana, Baroda, Mumbai, Jeddah, New York.